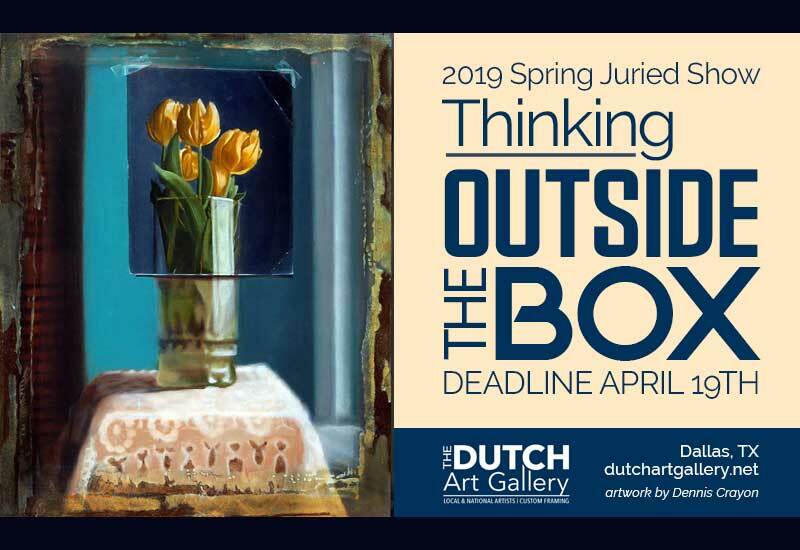 Juried Show Call for Entry. Seeking 2D paintings and Drawings. Unconventional, novel and inventive are words that come to mind when we hear the phrase “think outside the box”. We invite you to push your boundaries and break away from the expected and mundane. This theme has a wide interpretation, but in case you need some ideas, we suggest exploring an unusual or distorted perspective. Employ symbolism in a new way. Use optical illusions or a unique application of paint. Challenge yourself and let your creativity run free.